“You can see how yellow my skin is,” he writes on Facebook. Warawa says he plans to post updates on his Facebook page so his wife Diane doesn’t have to respond to every inquiry, adding he needs, in his words, “to be in her loving arms.” The couple have five children and 10 grandchildren. OTTAWA — Canada’s war in Afghanistan ended five years ago but the price of that effort continues to grow. Newly revealed figures show the number of veterans from the war in Afghanistan receiving federal support for mental-health conditions nearly doubled between March 2014 and March 2018. The figures are in a report obtained from Veterans Affairs Canada through access-to-information legislation and underscore the enduring toll the war has taken on the mental health of many military members who served there. They also highlight the importance of adequate mental-health services for veterans, which successive federal governments have sought to address over the years with mixed results. The report was provided to former attorney general Jody Wilson-Raybould in January upon her appointment as veterans-affairs minister, a post she held for only a few weeks before resigning amid the SNC-Lavalin affair. According to the document, more than 6,700 military members who served in Afghanistan received disability benefits for mental-health conditions in March 2018 — an increase of nearly 3,200 from the same month in 2014. 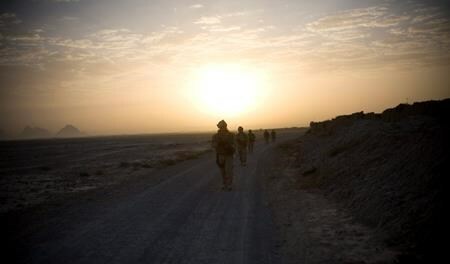 In both cases, the vast majority of those receiving benefits for mental conditions were struggling with post-traumatic stress disorder “directly related to their service in Afghanistan,” according to the report. In fact, PTSD was found to have been the top medical diagnosis for Afghan war veterans applying for assistance, as compared to hearing loss and ringing in the ears for service members who had not deployed to Afghanistan. More than 40,000 Canadians served in the 13-year Afghanistan mission, which began with fighting the Taliban after the 2001 terrorist attacks on the United States and progressed to trying to stabilize and rebuild the war-torn country. That means nearly 17 per cent of all Canadian military personnel who deployed to Afghanistan have received federal assistance for psychological trauma sustained during the war. Successive federal governments have been criticized for years over the support provided to such veterans, with concerns raised about financial assistance and long wait times for mental-health services. Veterans Affairs Canada recently revealed nearly 40,000 veterans were waiting at the end of November to hear if their applications for financial assistance would be approved, 11,000 more than the previous year. And more than one-third of them had been in the queue longer than 16 weeks, which was also an increase and a sign that veterans were waiting ever longer to find out whether they were entitled to assistance. While Veterans Affairs did not say how many of those applications related to psychological injuries, an internal report obtained by The Canadian Press last year found demand for mental-health services routinely outstripped available resources. The federal auditor general has also reported on long wait times for such services. And while he acknowledged that “there is more work to do,” Wellstead said the government is spending billions of dollars on new supports and services as well as additional staff to ensure veterans get the help they need. The newly released report shows the officials approved 96 per cent of the 2,453 applications for assistance from veterans with PTSD in 2017-18, whereas the approval rates for many other medical conditions were between 75 and 85 per cent. 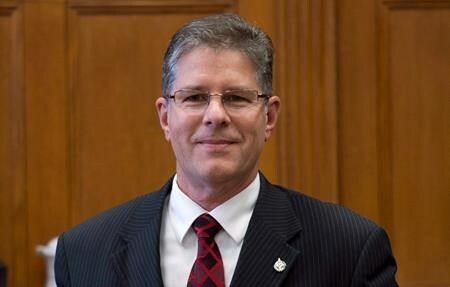 At the same time, Wellstead noted the department recently established a partnership with the Royal Ottawa Mental Health Centre to research psychological trauma and provide better advice and support to health-care professionals. “When it comes to mental-health supports, we work with over 4,000 mental health professionals across the country to ensure veterans get the help that they need,” he said in an email. OTTAWA — It was a blow out, man, the kind that’s a total drag. 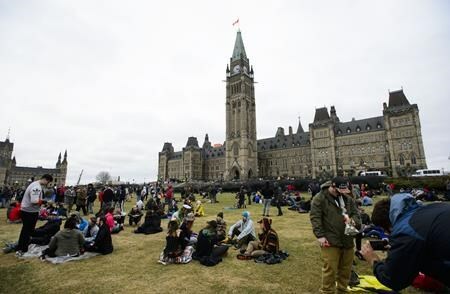 Protesters dotted one half of Parliament Hill’s front lawn on a blustery, rainy Saturday at the climax the first 4-20 “Weed Day” demonstration since Canada legalized recreational marijuana. The turnout disappointed organizers who expected thousands more, but a festive atmosphere prevailed as the Peace Tower clock struck 4:20 p.m., sparking simultaneous smart phone photography and the lighting of joints, bongs and pipes. A bout of blowing rain earlier in the afternoon meant the shutdown of a public address system, and a made for a sparse gathering of perhaps several dozen people, most huddled under plastic ponchos or tarps. Sara Bakir, 29, of Ottawa was one of early arrivals, dressed in a dark hoodie under a black umbrella. “It’s still nice to be out with a few like-minded people,” she said laughing, and casting her eyes at the empty and soaked brownish yellow lawn. Organizers learned a tough lesson even before the rain started falling — new freedoms bring great bureaucracy. Mac said his group is encountering more red tape Saturday than on past April 20 protests. “Hearing is already a problem so not being able to see is a crushing blow,” he said. Organizers have also been told to limit musical performers to just two, Mac said, adding that isn’t in the rules of how to hold a public event on the Hill. New limits on auto access also meant organizers had to haul equipment and material by hand up to the lawn from Wellington Street, he added. “It’s frustrating because legalization was supposed to … make things easier and not more complicated,” he said. Lingering post-legalization concerns are sustaining a sense of protest among 4-20 event organizers across the country. They include concerns over the government’s decision to tax medicinal marijuana, slow progress on legislation to expedite pardons for people previously convicted of simple pot possession, and the fact that provincial and municipal governments are grappling with retail sales and land-use laws for growing pot. The federal government also has yet to legalize edible marijuana products and has six more months to set rules to do so. “Everything about legalization has made things harder, which is the opposite of what is was supposed to be,” said Mac. Others were more upbeat and saw Saturday’s event as an inspiration to the world. “Again, the world is watching, and I’m very proud of Canada today and Canadians,” said Kelly Coulter, a cannabis policy adviser based in British Columbia. She said Canada is helping change global attitudes and policies as the first G7 nation to legalize pot, and she expected people from Germany and Britain to take part in Saturday’s festivities on the Hill. It was a far cry from Ottawa’s subdued festivities on the West Coast, as hoards of people crowded Vancouver’s Sunset Beach to mark the city’s 25th annual 4-20 event warmed by rays of glorious spring sunshine amid a low lying marijuana haze. A much smaller crowd gathered at the front lawn of British Columbia’s legislature in Victoria, but the mood was equally celebratory and defiant. Smith, in between puffs from a large joint, said the current marijuana rules are biased against entrepreneurs who want to sell their products in much the same way as craft brewers and winemakers. And a downpour didn’t dampen the festivities at Woodbine Park in Toronto’s east end, where revellers trampled through the muddy grass to the steady thrum of house music. Cannabis artisans sold their wares at tarp-covered stands, many expressing hope that they could one day emerge from the “grey market” to set up shop at brick-and-mortar storefronts. Justin Loizos, owner of the Just Compassion marijuana dispensary in Toronto, said the mood Saturday was more celebratory than in past 4-20 gatherings, which felt more like protests. The current regime may not be the “legalization people asked for,” Loizos said, but the cannabis community should take heart in just how far Canada has come. — with files from Adina Bresge and Dirk Meissner.